The theater is dark. The orchestra is booming. And the audience is scarce, save a few company members. One woman is hunched behind a camera in the center of the seats. It’s a dress rehearsal at American Ballet Theatre, and Nancy Ellison is working her magic. As the music plays and world-class dancers execute the movement, one sound permeates the ears of those in the theater—the clack of a camera shutter. The moments Ellison captures collect as files on a memory card; files that she will meticulously comb through afterward, looking for the emotion combined with the line of the body that add to the unique power a dance photograph can possess. A collection of these photos can be see in her new book, In Classic Style: The Splendor of American Ballet Theatre. The documentation of the company spans a year-and-a-half of performances, but Ellison only spent a total of twenty days shooting the photos. That’s not to imply the process was a breeze. Capturing an art form (especially one that is defined by movement) through a collection of still photographs presents a challenge that only the most accomplished of photographers can tackle. So what happens after the photographer’s job is finished, when the book is published and the dancers are left to reflect on the results? Movmnt’s Matthew Murphy sits down with the dancers of American Ballet Theatre to see what goes into making the magic that Ellison captures in her book. I literally wasn’t performing in my own skin; I was painted to appear darker than I actually am. Each act you get more and more paint on your body because you have less and less clothing on. This picture is from such a crucial moment in the show, as it’s the first time you are seen on stage. You have to stay in the moment and immerse yourself in the character like you are experiencing it for the first time, but you don’t even look like yourself; it was a huge challenge. This section of James Kudelka’s Cinderella has to be the craziest running, entering, exiting, leaping, turning marathon I have yet to experience in a ballet. The moment I leapt into the wing (right after this picture) I was running to the next entrance, which was about eight seconds later. No matter what entrance or exit I did during this section, I was always dancing with a shoe in my hand. As a dancer you are taught to finish movement off, ending the line in the fingers and using them as a form of expression. This section, known as “Around the World” has technical power that exceeds everything before it. If it weren’t for that shoe, things would be a lot easier for the prince. He wouldn’t be searching for the foot to fit the shoe, he’d find his match, and wouldn’t have to worry about executing technically difficult movement in a cream suit, holding a shoe. This is one of the most dramatic scenes I’ve ever seen. Romeo has just killed Tybalt, and Lady Capulet comes down and discovers his dead body. The biggest challenge is staying in character whether you feel [the performance] that night or not. Sometimes it’s easier to feel the emotion and immerse yourself in the scene than others. Not many people witness a murder in real life, so it’s a difficult reality to create as a dancer. That being said, you can certainly pull on the emotional and physical fatigue that an eight-week season creates when doing this scene. Because of this removal from reality, there is a huge range of who takes it seriously or not. Since Romeo and Juliet isn’t as technical of a ballet for the corps as others, sometimes people think it’s “easier” and lose focus or get uncomfortable. Regardless of the fact that the physical toll is less in this ballet, I have to prepare myself mentally. 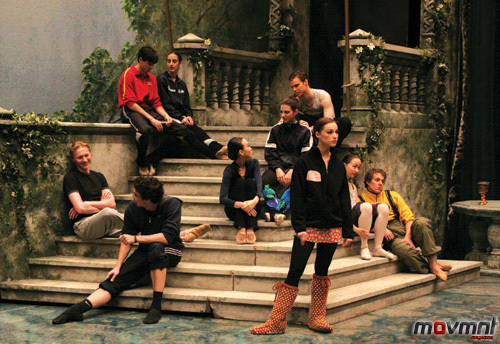 Our training in school doesn’t always prepare us for acting heavy ballets like this. The scene requires life and truth, more than any other scene in the rep.
Apart from keeping an eye on Cinderella for a year as an understudy, I didn’t have much time to prepare. I was officially put on warning to replace an injured dancer about two weeks before the show. I frantically watched as many videos as I could, every spare minute I had. Rehearsals were squeezed in when possible. In a nutshell, my whole Cinderella experience, from beginning to end, was a whirlwind. 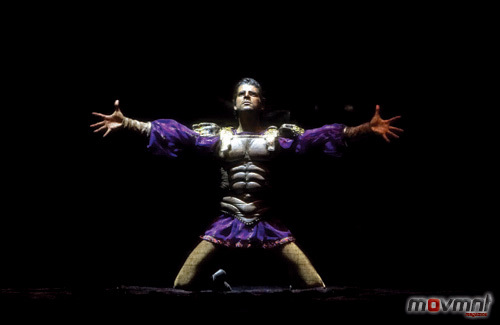 This was my first leading role in a full-length ballet. Of course, having experienced injury before and knowing how devastating it is to miss any shows, my heart went out to the injured dancer I was replacing. But it was exciting to take responsibility for telling the bulk of the story and to be involved in the storytelling from the ballet’s first moment to the last. 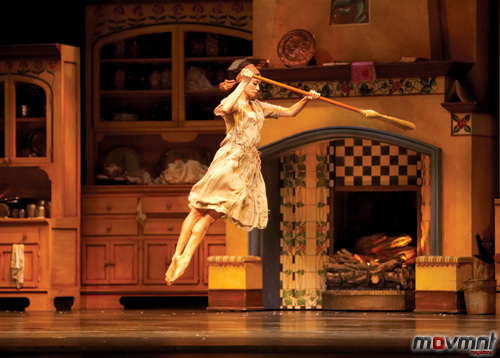 The kitchen scenes were especially complex with dozens of props, each with their own specific choreography needing to be danced on very specific music. The props played a huge part in telling the story of Cinderella’s life in the kitchen—that backbreaking, boring housework that prompted fantastic daydreams of impossible love. However, dancing barefoot is pretty uncomfortable for ballet dancers. Iago isn’t the type of guy to bring home to meet the parents. Much of the choreography between Iago and his wife Emlia is physically and sexually abusive. My Emelia was Stella Abrera, who is betrothed to me offstage as well, and she gamely withstood the rapes and beatings that I had to dish out as the ever-charming, misogynistc Iago. Behaving so nastily towards Stella posed a formidable challenge to my conscience and wellbeing, as did the post-performance conversation I had with her father. Iago is a character layered with so many dark, complex emotions. He’s more complicated than most villains, and—dare I say it—most princes or other protagonists. Portraying Iago allowed me to plumb a sort of shadowy, Nietzschian recess of my psyche, and sure…I took perverse pleasure in the experience! Truth be told, Marcelo and I didn’t throw each other around too extensively, but we did have our fair share of twisting and pulling, whispering and menacing. Marcelo is a big strong guy, and a world-class partner, so I felt secure when he manhandled me. At the same time, he’s a larger load to bear than the little ballerinas I’m accustomed to, so I had to be careful when lifting him. But Marcelo and I had a lot of fun together, and those good times overshadowed any physical difficulties we encountered within the choreography.